A gastrectomy - the removal of most or all of the stomach - is often recommended as a treatment for stomach cancer. 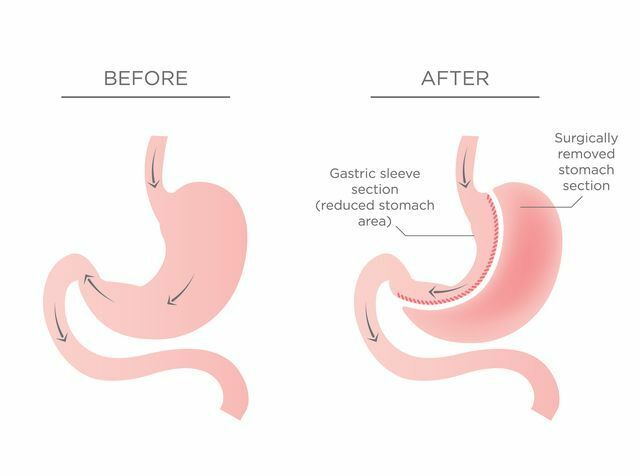 The surgeons at Laparoscopic Surgical Center of New York can take a laparoscopic approach to gastrectomy at our New York, NY, office, helping patients to experience restored health and a swift recovery. The most common purpose of a gastrectomy is the treatment of stomach cancer. In fact, it is currently the only way to cure stomach cancer. A gastrectomy is the removal of part or all of the stomach. Removal of the stomach does not eliminate a patient’s ability to digest foods and liquids, but some lifestyle changes will be necessary. Patients who smoke or drink alcohol may have an increased risk of complications from a gastrectomy, as may patients with chronic diseases such as diabetes or obesity. During your consultation, your surgeon can determine whether it is safe for you to undergo a gastrectomy. Depending on the condition that is being treated, your surgeon will recommend either laparoscopic or open surgery to remove part or all of the stomach. Open surgery involves a large single incision. Laparoscopic surgery is much less invasive, and is the preferred method if it is feasible. It involves making very small incisions to use small tools for the surgery. A laparoscope, a special tool containing a very small camera, is used to provide the surgeon with a detailed view of the treatment site without the need for larger incisions. During a partial gastrectomy, the surgeon removes the lower half of the stomach. He may also remove nearby lymph nodes if they are cancerous. Then, he will close off the duodenum, the first part of the small intestine. Next, the remaining part of the stomach will be connected to the bowel. During a complete gastrectomy, the surgeon removes the entire stomach. A new stomach will be made using your intestinal tissue, and the esophagus will be connected to the small intestine. Following surgery, you will remain in the hospital for a few days to over a week, depending on whether you had open surgery or laparoscopic surgery, and how quickly your body heals. During the recovery period, you will be fed through an IV until you are ready to eat and drink normally. Not all surgeries can be performed laparoscopically, but our surgeons will recommend it whenever possible. Our surgeons have more than 30 years of experience in minimally invasive surgery, and have helped many patients to experience an expedited recovery and exceptional long-term benefits using these techniques. Our surgeons take advanced measures to provide every patient with the best possible care in every respect. Contact us today to learn more about how our advanced surgical techniques and vast experience can protect your health.